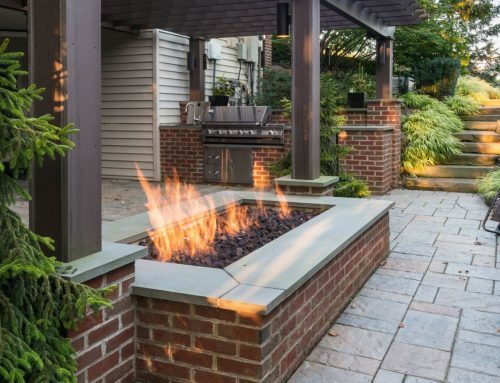 Outdoor living spaces should be more than just appealing to the eye. When designed with total respect and appreciation for the end result, these settings are visually appealing, designed in the right proportion, comfortable to use, long-lasting, and functioning exactly as intended. A patio becomes a buzzing social spot with an energetic flow from seating to bar to grill, from spa to chaise. Seating by the pool catches the afternoon sun perfectly as gorgeous foliage offers privacy and a sense of the tropics, while your garden comes alive with an array of color all season long, with new blooms ready to burst open as soon as the spent blossoms fade. Some simple math occurs in nature repeatedly and it can make or break your home’s landscaping, and sometimes may even impact your home itself. You don’t necessarily need to know these architectural relationships – your eye will often tell you what you need to know in terms of longevity, possible complications with root systems and existing structures, and so forth. A proper design analysis by a skilled landscaper can help to ensure a great landscape architecture. The right proportions allow you to make the most of the space you have, allowing for a growing family and evolving needs. When built properly and with all the right materials, landscaped areas just feel right. A good design feels good. “The Good” starts with a good design and professional execution of that design. The landscaped area offers a good feeling when you’re in it and it does what you want it to do. 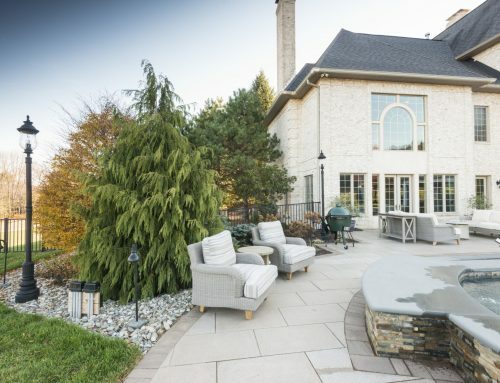 Whether you want shade, sun, privacy, a vision of your kids, the ability for it to mature into the future needs of your growing family – whatever your unique needs may be, an experienced landscape architect will work hard to accommodate them. “The Bad & The Ugly” happen when you don’t have an appreciation for the good. The age of a home can help to predict whether soil around a structure will consolidate as a natural process, settling over time and leaving behind uneven patio pavers and walkways or cracked sidewalks. Concrete is an excellent medium for landscaping projects, but it will crack during this settlement if it is built upon loosely compacted ground. Most of these issues are predictable, and to a great extent preventable, if your landscaping company has an overall appreciation for how the physical world works. Knowledge about geometry, trigonometry, chemistry, physics, and how materials interact will serve a landscaper and you as the homeowner well, helping to prevent these cracks, wet basements, and other issues. It’s just a matter of finding the right person for the job. Most families interview several landscapers before choosing one for the project. Still, the industry is fairly wide open without required licensure or trainings in order for people to call themselves landscapers. Asking some key questions specific to your own needs can make all the difference in ensuring a positive outcome for the work. Try to get a clear understanding of the person’s overall knowledge, plant knowledge, and passion for what they do. Find out about a warranty on the work as well as any plantings. 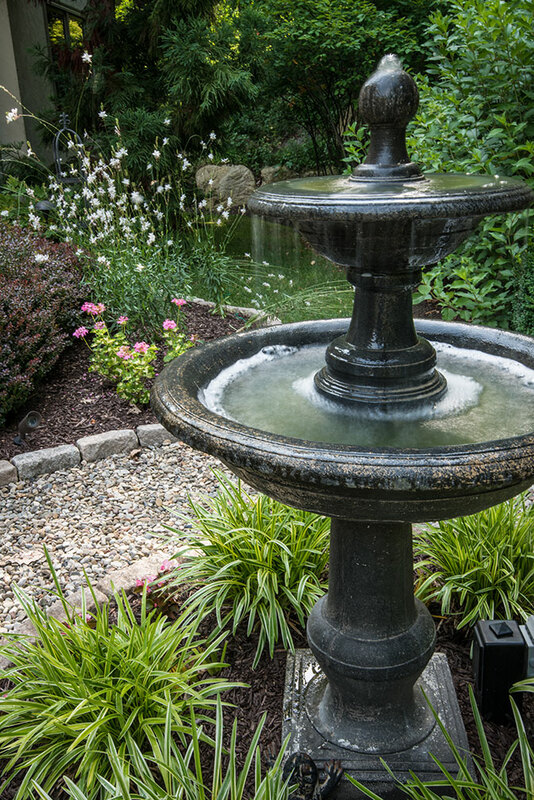 Ask about possible complications and how the landscape design will interact with your existing home and structures. Make sure they have a basic understanding of the physical sciences and earth sciences. Rather than planning solely in the aerial view of the landscape blueprint, ask if they can walk you through it as you’d use it on a daily basis. Ask about where the landscaping would be in the next 10, 15 or 20 years. Make sure when you hire someone that they have knowledge of the trades that relate to your landscaping project, for example, weatherproofing, load bearing on basement walls, flashing to keep the water out, replacing doors and trim in the future if needed. You never want to cause a new problem simply in trying to beautify your home. Many homeowners may not realize they can truly predict the lifespan of a well executed landscape architecture before beginning a project. 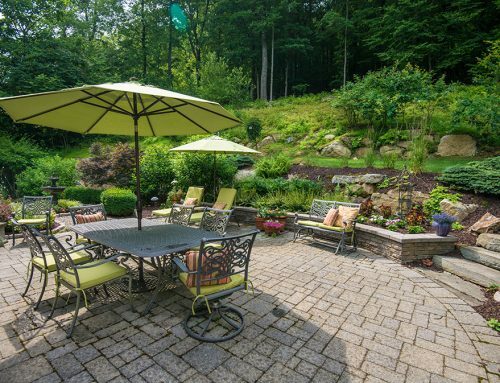 Starting with a budget and an expectation getting into it can lead to greater success whether you’d like your outdoor settings to withstand 10 years or the next 50. You might also choose to do your project in phases, allowing your landscape to grow and evolve over time, possibly alongside the growth of your family. Start out with a real budget and a set of goals, as well as the “would be nice” extras. Also think of the big picture and how long you hope your landscaping will last you. Finally, beware of choosing your landscaper on price alone. A lower price job can double in price very swiftly when you find yourself hiring another landscaper to redo everything a few years later. Remember, the best value is a job well done.